I am riding this year for the 16th consecutive year, once again in honor of my daughter Nicole. While we have all been affected by cancer at some point in our lives, and there are so many reasons to ride, she will always be my inspiration! I will also be riding in honor of Nicole's friend Brandon who was also diagnosed with ALL, but has completed his treatments, and he's doing great! The attached picture is Nicole, Brandon and their friend Julia who dubbed this the transistion picture. The top picture is from 5 years ago and the bottom one is from last June. THIS IS WHY WE DO THIS!!! Nicole is now 21 years old and feeling great. She is 16 years in remission. You would never know to look at eithe of them an know what they went through. She has been a PMC volunteer at the Mass Maritime Academy with her brother Greg. 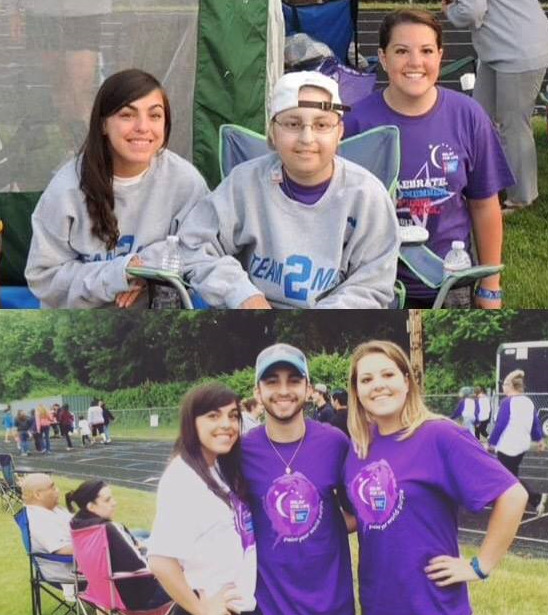 Both Nicole and Greg recently walked in the Relay fo Life to help fight this terrible disease. 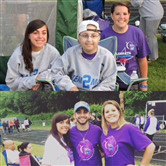 Nicole also volunteered at the Relay for Life at Endicott College where she did an inspiring speech to her peers, other parents, school officials and others. She continues to inspire me to ride and now is an inspiration to many others. 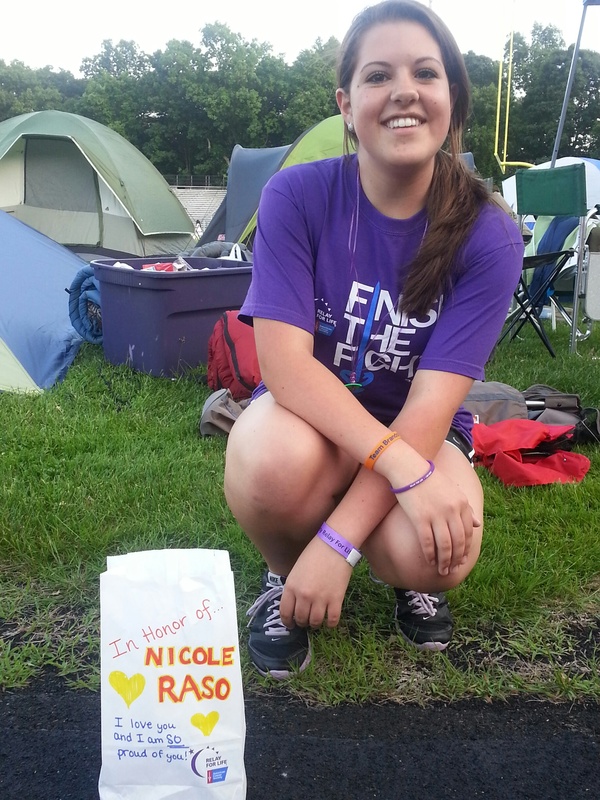 Remember, not all the kids are as fortunate as Nicole, which is why we continue to ride for this great cause. I am grateful for the Jimmy Fund, the PMC and all the people involved. This year, as in the past 134years, I will try to give a little back to those that have given me so much. My daughter's life!! If you would like to donate, you can click on the Donate to My Ride link below this window to use a credit card.